Vincent Graves is back. This time, he wakes up in the body of Charles, who is in a mental institution. All Vincent knows, as usual, is that Charles is dead (otherwise Vincent would not be inhabiting his body) and that his death was caused by a supernatural being. Vincent’s “handler”, the enigmatic as ever Church, gives Vincent forty hours to solve the mystery. Along the way, Vincent connects with an old friend, makes a few new ones, and runs into an assortment of supernatural entities, some willing to help him and some-well, not so much. If Vincent doesn’t find and defeat the killer before his forty hours are up, he will be dead for real. I like the Grave Report series, really I do. It’s a clever idea: Vincent Graves (not his real name; he has no memory of his real name or past) is a soul without a body. He was killed by some sort of supernatural being, and now is sent to inhabit the bodies of others who have died by supernatural means. He has a time limit for solving the puzzle of what is preying on humankind and eliminate it. If he fails, he will die- for real. 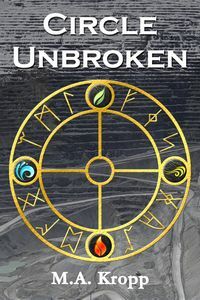 The premise is intriguing, the urban fantasy setting is real world enough and blends the supernatural elements well, and the characters are, generally speaking, interesting. So, what’s the problem? Well, the writing, actually. It just tries too hard. To be clever. To be witty. To be sharp. And, too often, it fails to be any of those. Sentences are often clunky and convoluted. The narration steps back from the story to explain either backstory, or a character’s emotional state, or, in a few cases, a joke. And if you have to explain the joke… All of that takes away from the action and slows the reader down. There are also a lot of pop culture references that unfortunately seem to be in there for effect rather than as part of the character’s personality. Every time the author uses the noun “pang” as a verb, I was popped out of the story while I winced. I hoped some of these issues, which I had with the first book also, would have been solved at least a little in this one. This series has real potential. The base idea is clever and original. The supernatural world and its inhabitants are, for the most part, intriguing. Characters are good, though some lean a bit too hard on tropes. But the ideas are good, the plot is thought out, and the action, where it is allowed to run through its full course, is fast-paced. A bit more care in the writing, and this could be a really good series.